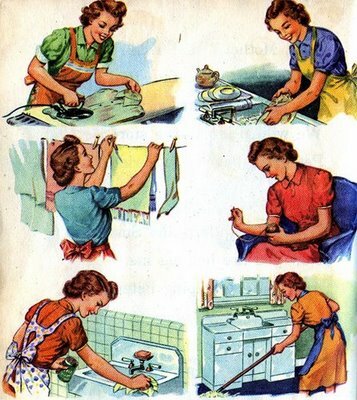 The “Unseen Jobs”, that is what my grandmother called all the little jobs we do as women, that no one else sees, such as cleaning out the kitchen drawers, washing all the utensils, wiping out the drawers and re-organizing everything when you are done. No one will ever know you did this but you! But, that is what I am doing today, all the little unseen jobs to get our little cottage in order and ready for Summer. I wish I could wiggle my nose like Samantha from “Bewitched” and it would be done in a jiffy, but that isn’t going to happen. I am cleaning, scrubbing, sorting through my closets, the washing machine is whirring away and the air is heady with the scent of lemons. So back to work for me, soaking up the therapy that cleaning seems to give me along with the sunshine pouring in through the windows and looking forward to finishing, so I can enjoy a slice of the chocolate cake with chocolate fudge icing that I made yesterday and start on my little crochet project, because I haven’t managed to do that yet! Hope you are having a wonderful first day of June wherever you are. This entry was posted in Home and tagged Bewitched, cleaning, family, summer on June 1, 2011 by jennifermichie.